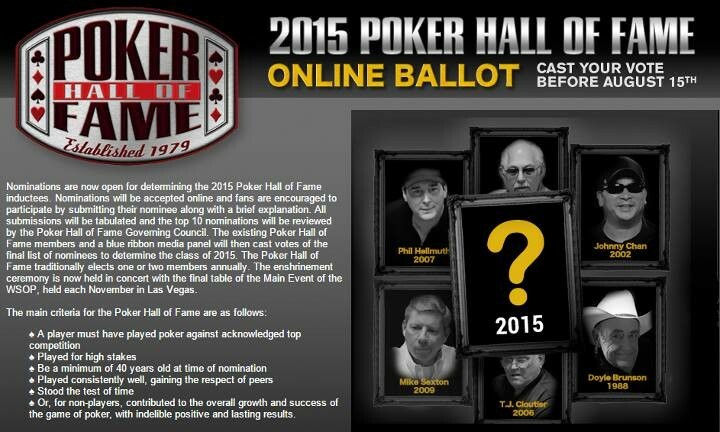 Fans can nominate their favorite poker players for the Poker Hall of Fame by simply filling out an online ballot. Just visit the Poker Haal of Fame section of the WSOP.com website, and make your nomination. The top 10 nominees when voting closes on August 15 will be reviewed by the existing Poker Hall of Fame members and a blue ribbon media panel. This Poker Hall of Fame Governing Council will then cast votes to determine the class of 2015. ♠ Or, for non-players, contributed to the overall growth and success of the game of poker, with indelible positive and lasting results. There are currently 48 members of the hall with the first class inducted in 1979. This year’s inductees will be enshrined in conjunction with the commencement of the November Nine. Don’t delay, have your say today! The World Poker Tour just released a new video highlighting some of the moments from their recent charity event, “All In” for Kids, which benefited The Children’s Hospital of Philadelphia. They raised $910,000, so Check out the video and support their efforts.